- Fashion Ecstasy on 十月 2, 2018. Having traveled across the world and tried all kinds of exotic food, Portuguese food is still one cuisine I’m unfamiliar with. 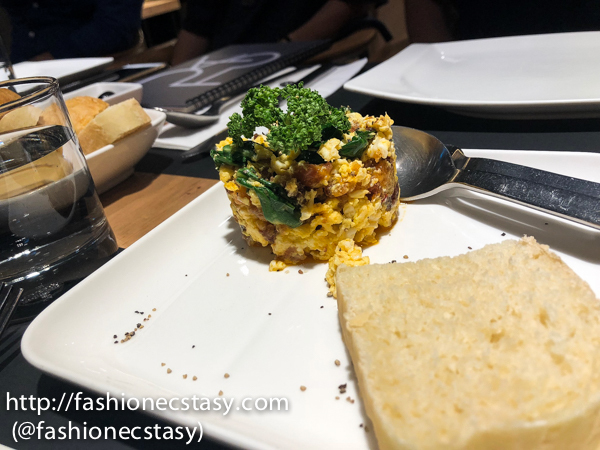 I paid a visit to TUGA Portuguese Restaurant in Taipei and I was mind blown. After 45 countries, Portugal is sadly still on my bucket list. I thought I knew Portuguese food after many trips to Macau. I was wrong. Macau was colonized by Portugal for over 400 years in history, and its Portuguese influences still preserve. 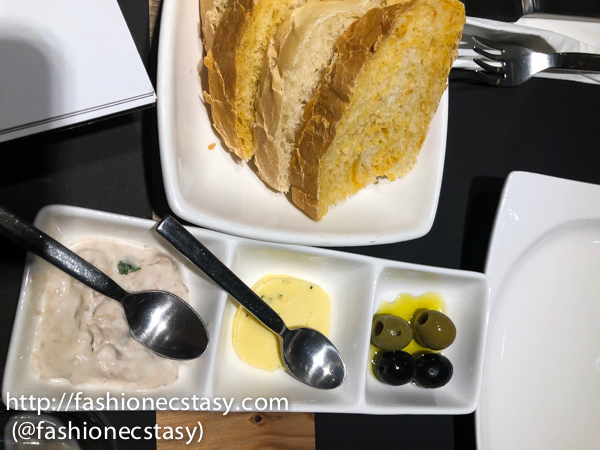 I’ve tried many Portuguese restaurants in Macau who claim themselves authentic. However, none of them made an impression on me, so I always thought Portuguese food was just “meh.” A Portuguese friend of mine wouldn’t seem to stop talking about his hometown food whenever we meet, which intrigued me and decided to give Portuguese Food another try. After all, everyone deserves a second (or 100) chance, right? Our server is knowledgeable and provides reliable recommendations. He tells us straight up not to expect for more than just the ingredients on the menu when we’re trying to pick a salad. 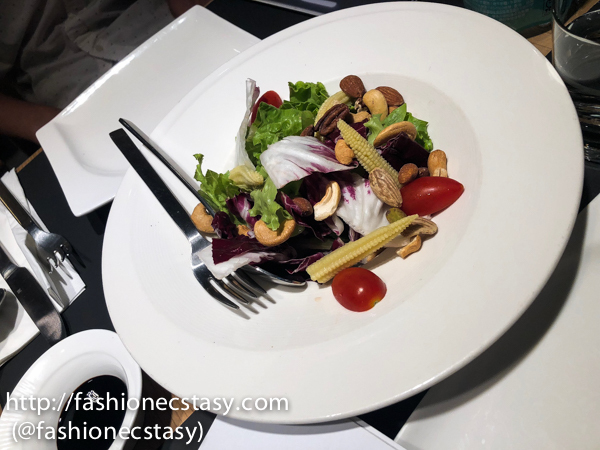 This is a veggie-salad with baby corn, tomatoes and cashews. The salad is served with two dressings: A thicker Balsamic and a vinaigrette. Eggs are scrambled with Portuguese sausage and cabbage, the taste is natural with no additives other than just the ingredients written on the menu. Mushrooms are usually prepared with butter. I’ve mentioned many times how I’m terrified of butter. 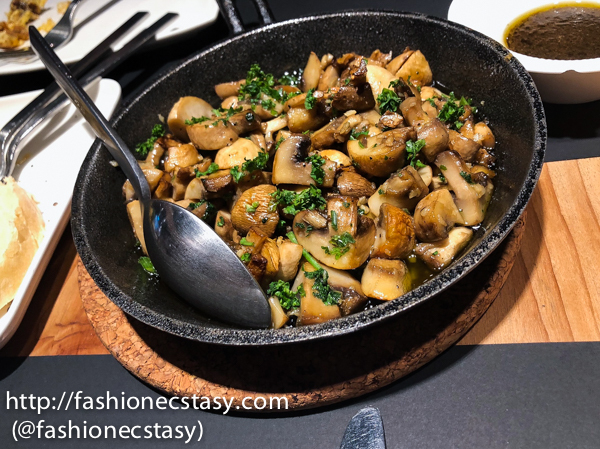 The mushrooms here are sautéed with olive oil. 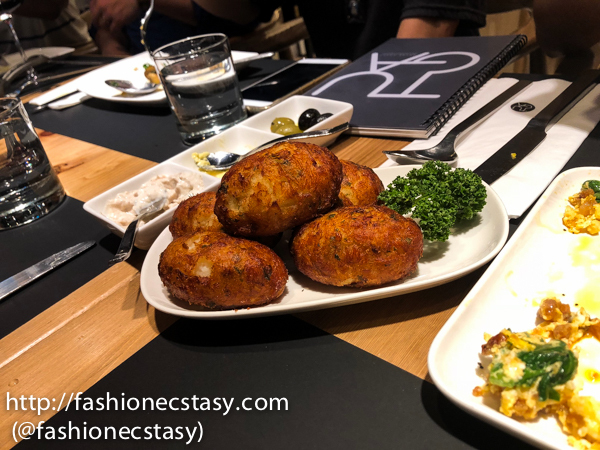 “Bacalhau is codfish that’s dried and salted; it is an essential ingredient in Portuguese cuisine. A friend of mine once’s expressed his sorrow for not being able to taste his favorite dish since his mother passed away. Antonia, my childhood maid, used to cook my favorite “fish ball” dish. She has a secret recipe from her hometown, Sri Lanka. Before she left us, she made sure to leave my mom her secret recipe so I could continue eating my favorite dish even when she wasn’t around. Maybe intelligence is genetic; mom couldn’t remember a single thing from the recipe. I grew up longing for Antonia’s fish balls. When I Googled “Sri Lankan fish balls” over the years, nothing was quite the same. 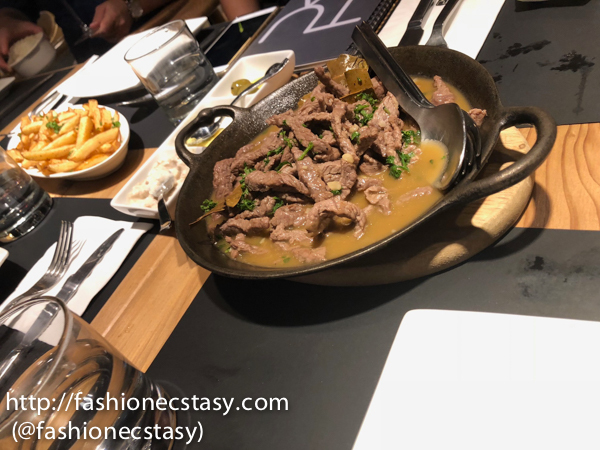 Pica-Pau is steak cut into strips, similar to the way how Taiwanese cook beef, the dish comes with a lot of juice and fries to dip with. This dish is made with octopus with tentacles and potatoes baked with olive oil. 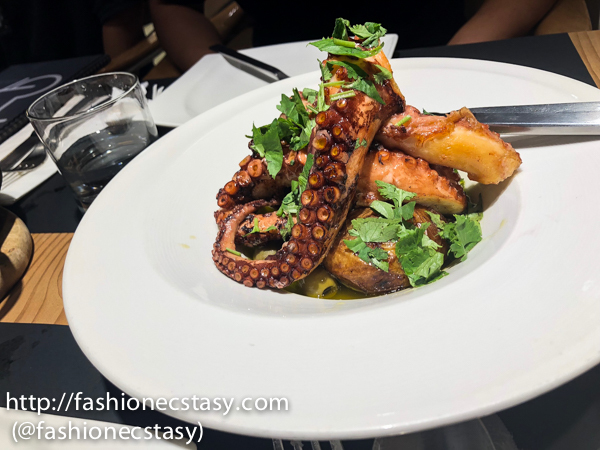 Usually seafood shrink after cooking,this octopus is still very big when it is served. I can’t imagine its size before being cooked. The texture is slightly chewy but still remains very tender, completely different from the rubber band octopus we often eat at night markets. 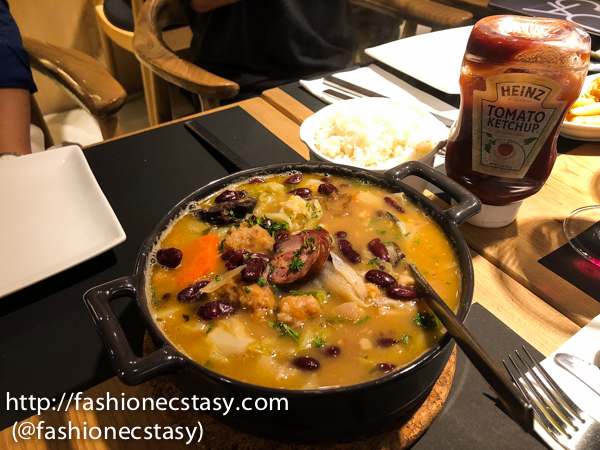 This is a traditional Portuguese soup dish that the locals like to cook for guests and feasts because it contains enough ingredients to feed all taste buds. The components include pork, pig’s head, pig’s ear cooked with red beans, cabbage, and spices and makes a nutritious dish. The soup is very tasty, and the meat is tender. Most “Seafood rice” we see at restaurants in taiwan is usually paella (Spanish) or risotto (Italian). The Portuguese-style seafood rice is completely different from the two. It’s more watery and take on an almost stew-like form, similar to a Chinese-style savory porridge. 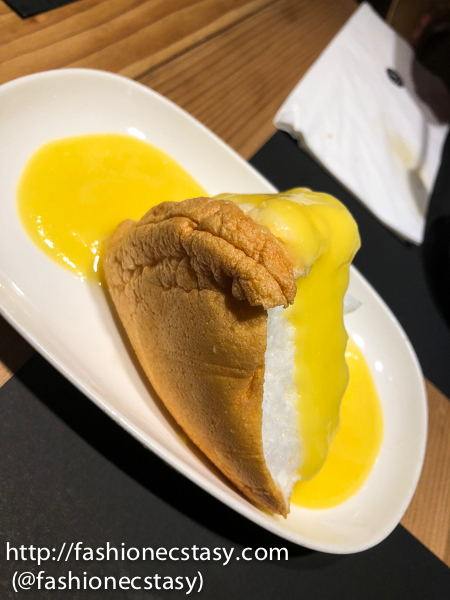 The dish retains its original seafood flavors and perfect for Taiwanese beginners to exotic cuisine. Molotov is a traditional Portuguese dessert made with egg white. It’s light and airy and perfect for after a Portuguese feast. Taking on the same “happy yellow,” this dessert is made with long grain rice and is enlightening. Taking on the same “happy yellow,” this dessert is made with long-grain rice and sprinkled with a bit of cinnamon. Both the colour and the taste are enlightening. Of all the items we tasted, none of them disappointed. 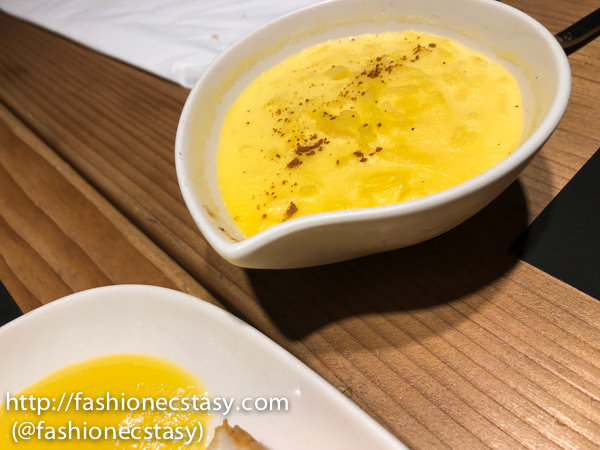 Tuga Portuguese Restaurant Taipei is one worth revisiting until you’ve tried them all!